On May 21-27, football fans will have the opportunity to get a free ride in the subway and the surface transport in Kyiv. The respective decision was made by the Kyiv subway administration - in the view of UEFA Champions League final. 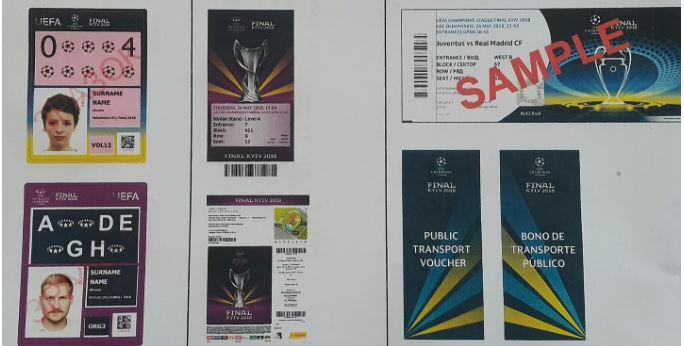 The football supporters will need certain kinds of documents to enjoy such rights, as shown below. The samples were posted by the press service of Kyiv Subway administration. UEFA covered the respective expenses sustained by Kyiv municipal transport services. UEFA Champions League final will take place at Olimpiysky National Sport Complex in Kyiv on Sunday. The game kicks off at 21.45 Kyiv time.